The holidays are officially here and that means exchanging lots and lots of gifts with the people you love! 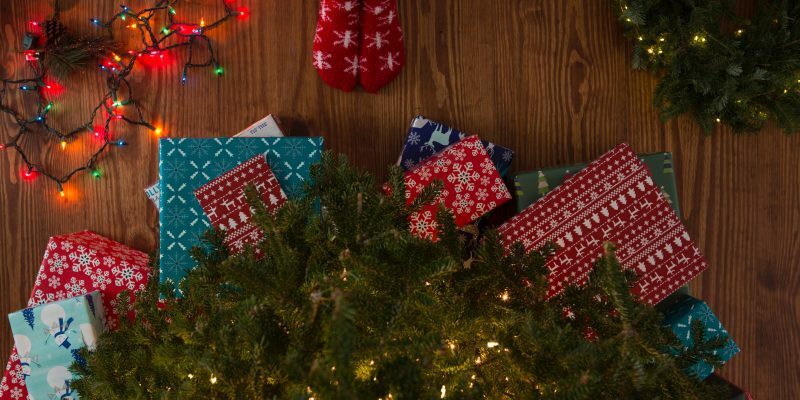 While you’re in this whirlwind of excitement making room for these presents and surprises, it could be tempting to just throw out your old, unused things and get them out of site. However, while you’re preparing for new things, there are plenty of people in need out there who could make great use of the things you no longer have a need for! To make donating even easier, we have curated a list of charities in Palm Beach County for all of your donation needs! This is the perfect place to donate your used — but still working — electronics. They are always looking to help children with school and employment opportunities, which is why they need these types of donations! Computer skills are required when going to school and getting a job and, since not everyone has access to that kind of technology, this is a great place to drop off your old electronics and make way for new ones. Most victims stay in a toxic relationship because they don’t think that they could ever make it on their own, which is why AVDA makes it their mission to help the survivors of abuse. They accept clothing, furniture, home goods, functioning appliances, cabinets, lighting, and building materials to make starting a new life easier and less daunting. This holiday season, consider donating to AVDA to make someone’s holiday special. The holidays often turn into one giant food fest, but for some, that isn’t the case. When you’re stocking your cabinets with holiday goodies, consider donating the leftover nonperishables. This charity provides six hot lunches and one family dinner each week to families in need. Additionally, during the holidays, they put together holiday food preparation boxes to give to families in order to help them cook their own holiday meals. These three charities are just a few of the multitude of charities that cover all of your donating needs. While you’re cleaning out your home to make way for new stuff, we encourage you to explore your local charities to see how you can help; after all, this is the season of giving! However, you don’t have to limit your donations to the Holiday Season! 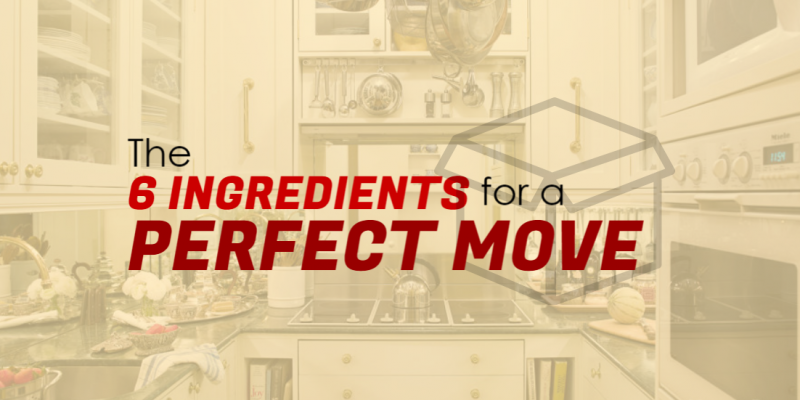 Moving is the perfect opportunity to clean house and keep the stuff that you truly need! When that time comes, Meehan’s Family moving will be here for you. Contact us here or give us a call at (561) 904-6000. From our family to yours, have a happy holiday season! Moving anywhere is complicated, and long distance moves are typically the most challenging. They are more expensive and come with a complete change of environment. But with some extra planning and a local moving company you can trust, you can avoid some of the pitfalls of long-distance moving. If you’re planning a long-distance move, check out these tips from the experts at Meehan’s Family Moving. The best way to make sure your long-distance move goes smoothly is to make sure you plan ahead. Research local moving companies and read customer reviews to make sure they are reliable, trustworthy, and offer fair prices. Reach out to the company you choose about 3 months in advance to ensure you can book the date and time you want. Moving companies are especially busy in the summertime, but by planning ahead, you won’t have to worry about getting a mover at the last minute. With long-distance moves, you typically pay based on how much stuff you have. Packing is the perfect time to clean out those boxes that have been collecting dust in your basement for years. Consider donating or selling items you no longer use. That Sharpie is about to become your new best friend. Be sure to label each box while you are packing and be as detailed as possible. Write down the items in each box and the room to which it belongs. This will expedite the moving-in process. It’s a smart idea to consider where you want your furniture to go in your new home to make sure it will all fit. If your new home is smaller than your current one, it’s possible that the new home will feel crowded if you bring all your furniture. 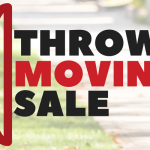 If you don’t have a place for an item, get rid of it before the move. Your vehicle needs a moving plan as well. Will you be driving it, or do you need to ship it? Figure this out as early as possible. 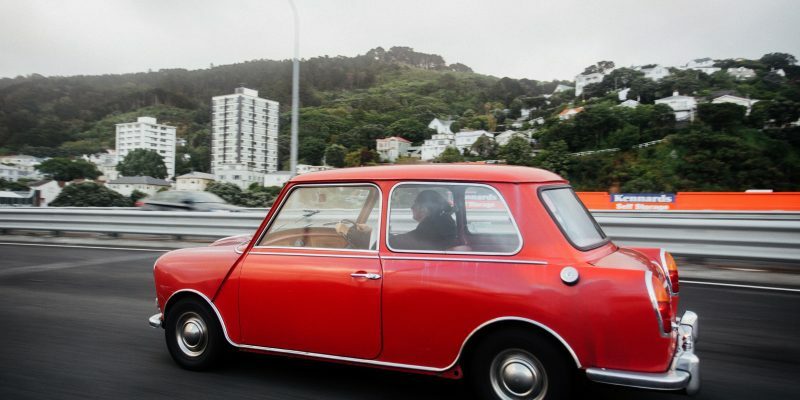 You typically need to book a car shipment several weeks prior to your move to make sure you have a vehicle to drive once you reach your destination. Long-distance moves can be very stressful for our beloved animals. Make sure your pets have updated ID tags and appropriate carriers before the move. Research pet-friendly hotels in advance and during the move, be sure to take enough bathroom breaks for them. Meehan’s Family Moving is committed to easing the stress of a long-distance move for you and your family. With years of experience in the moving industry, our professional movers take pride in putting our customers first. Meehan’s Family Moving carries out moves from Florida to states along the East Coast, in the North East, and the South. To find out how we can help with your next long-distance move, call us today at (561) 904-6000. 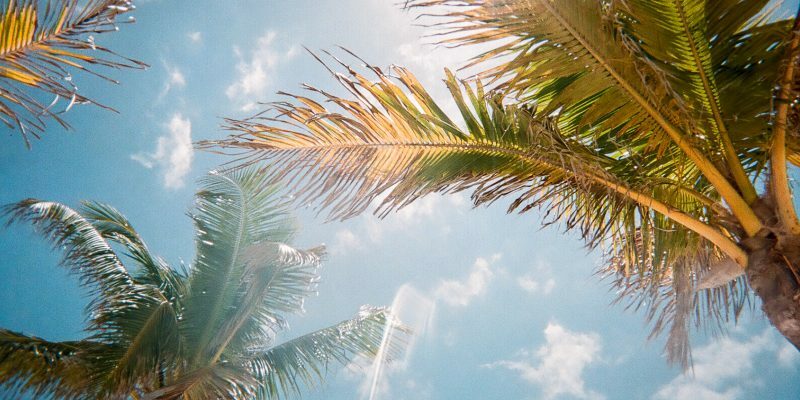 Florida summers are unlike anything else! Contact us today and receive a free quote and some advice about what you can expect as a Florida resident. Thinking about relocating to the Sunshine State this summer? From the weather to location, Florida has so much to offer. Here are five things to keep in mind if you are planning on moving to Florida during the summertime. A definite perk about moving to Florida, summertime or not, is that it is sunny and warm year round. You will never have to worry about snowstorms or blizzards ever again. Although Florida is known as the Sunshine State, the weather can be extreme. During the summer, temperatures can reach 90℉ and higher, and the air becomes thick and humid. It is important to stay hydrated and cool to avoid heat exhaustion. If you are planning on moving to Florida, it is important to be aware of the weather. June is the beginning of hurricane season. Due to the location and weather systems in Florida, residents should always be in the know about hurricanes and their activity. Florida is well known for its beaches. In fact, you’ll never be more than 60 miles away from the coast! If you are considering moving to Florida, know that you can take advantage of the beach being your new backyard. Moving in the summer is the perfect time so that you can take full advantage of the crystal blue waters and sandy beaches. Along with the beaches, Florida is known for the abundance of exotic plants and animals that reside here. The year-round summer weather makes for year-round green! A perfect example of this is the Florida Everglades. There is a variety of plants and wild animals that you can come across. It is a perfect place to explore and travel around. You can check out beautiful birds, magnificent alligators, and other native residents to the Florida swamp. On top of the wildlife, there are many different cities to check out that offer a variety of activities to do in Florida during the summer. There truly is something for everyone, no matter the age. West Palm Beach and Jupiter are cozy and quiet places to live. Miami and Fort Lauderdale are larger, and perfect for nightlife fun. Orlando has Disney and Universal Studios to get your adrenaline pumping. There’s event St. Augustine, one of the oldest cities in America, which is full with history and architecture. Summertime is one of the best times to move to Florida because there are not as many people in the area. Many of Florida’s residents only live in the state part-time, and typically leave Florida for the summer. Summertime is also the off season for tourists. Roads and beaches are usually less crowded, making navigating and exploring your new area even easier. Planning on moving into the area this summer? Meehan’s Family Moving is here to make it easy. Our team of professional Palm Beach movers offer full-service packing and moving solutions to fit your budget. We strive to make your next move fast, affordable, and convenient. Contact the Meehan’s Family Moving team today at (561) 904-6000 to schedule your free, no-obligation quote on our packing and moving services. We look forward to making your next big move easy! For many people, moving into your first college dorm may be the first time you’re out in the world on your own. The realization of all this new freedom can be both liberating and frightening. But what about packing? Amidst the chaos of college registration, orientation, and the pure excitement of finally going to college, sometimes the packing process gets put aside until the last minute. But packing is one of the most important things you can do to prepare for your new dorm! 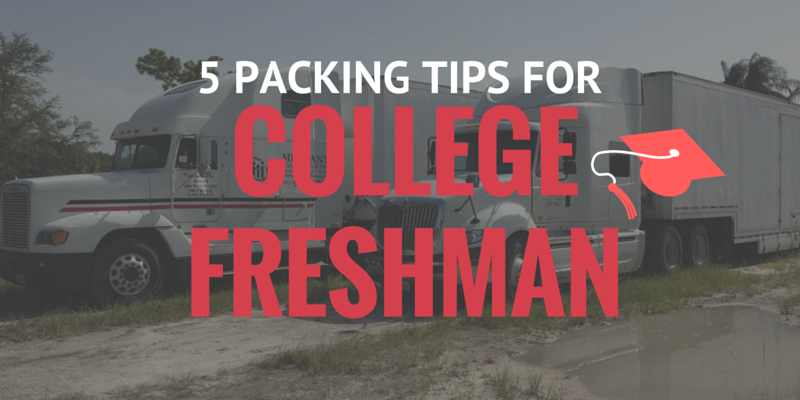 Here are a few college packing tips for a successful move-in day. Most people don’t like cleaning, so it’s easy to forget about bringing things you need to clean with. The worst way to remember that you forgot to bring a broom is when someone spills Doritos all over the floor during a study group. It’s better to bring these things from home or to buy them before you move into your dorm. The prices for cleaning products tend to be a little steep on campus and you may not be able to have a car while living on campus as a college freshman. 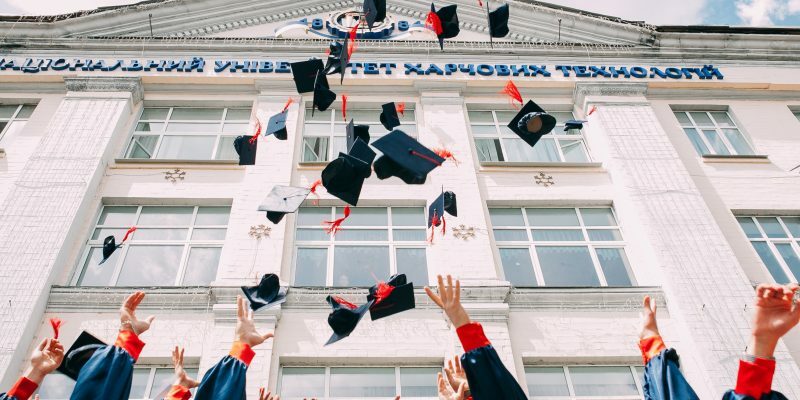 Don’t forget why you’re in college in the first place – to learn! Everyone has different methods when it comes to studying. Whether you use your laptop, tablet, or flashcards to study, bring anything you’ll need to get the best grades you can get while you’re in college. It may be a little harder and more expensive to get these things after you move on campus. Though it may be obvious that you’ll need to pack clothes, consider how many clothes you’re actually packing. Use this as an opportunity to get rid of clothes you don’t wear anymore so that your dorm won’t be cluttered with clothes that are too small for you now. Also, doing laundry on campus means that you’ll probably need to bring your own detergent. Your roommate will probably get annoyed after the third time you ask to “borrow” theirs. Some people use moving into their first dorm as an opportunity to neglect their personal hygiene because there’s no parents around to tell them to brush their teeth. This is not necessarily a good way to make friends. Don’t become one of these people because you forgot your toothbrush and shampoo at home. There might be some you can purchase on campus, but it’s a much better idea to bring some from home to save money. It’s normal to get a little homesick after moving into your first dorm. Once the excitement dies down, people sometimes start missing their family, friends, and pets back home. It’s a good idea to bring something, like a special blanket or a picture of your family, that will comfort you whenever you start to miss home too much. It’s stressful enough worrying about packing and moving into your new dorm. Let Meehan’s Family Moving of Palm Beach County help with the most difficult part of the moving process so that you can worry about your first day of college instead. For more information about what Meehan’s Family Moving can do for you, call us today at (561) 904-6000 for a complimentary, no-risk, no-obligation quote. Moving is an important event in everyone’s life. Whether you’re moving into a new house across town, or relocating for business, a move is an exciting time to plan a fresh start for you and your family. But for some, local and long distance moves can be an overwhelming experience. Avoid the stress that moving can bring by planning ahead. Developing a moving day game plan is guaranteed to save you time and frustration, no matter how far you travel. Documentation: Keep all important documents in one file. These should include employment papers, rent, bank, credit, contracts, and your family’s medical records. If you’re moving to a new town or relocating out of state, use the same file to hold all of your personal traveling documents, such as tickets, itineraries, and passports. You’ll feel relieved that your documents are safe in one place come moving day. Packing Supplies: The right packing tools are essential for moves both large and small. Be sure to stock up on packaging tape, cardboard boxes, packing paper, bubble wrap, and packing peanuts. Almost in every move people tend to underestimate the amount of things they own. Consider purchasing plastic storage bins and other shipping containers for your movers to stack in the moving truck. Medication: Don’t forget to pack medication and other medical necessities for you and your family. Make sure you don’t pack any expired medicine. Prepare an emergency kit with everything you or your family members may need on moving day. This goes for family pets, too! Consider the Children: Plan ahead by packing your kid’s favorite toys, games, and snacks before moving day. It’s important to pack for your pets, as well. Remember to consider their needs and pack their bowls for food and water, especially for a long distance move. Tidy Up: Prepare your home before you leave. 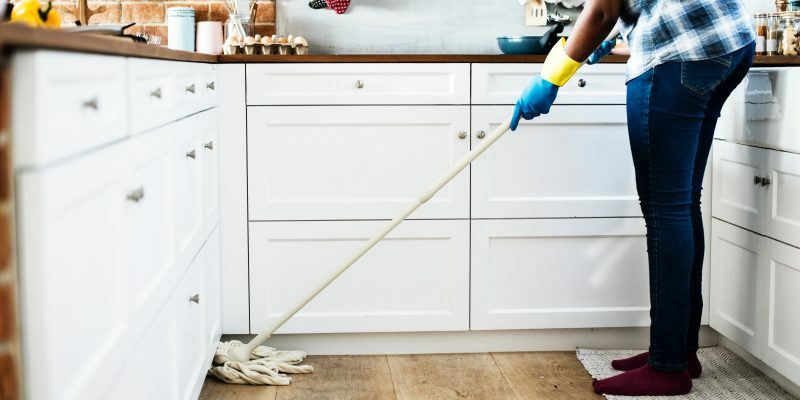 You’ll need cleaning supplies to help put your house or apartment in order, bags for the trash, and cleaning equipment like a vacuum cleaner, broom, or mop. Food and Drinks: Remember to pack food and drinks before you hit the road, especially if you’re traveling long distance. Don’t forget napkins and cutlery! If you’re looking for a quality moving company in Palm Beach, Meehan’s Family Moving is here to help. Whether you need assistance for a local move, or need an extra hand with relocating long distance, our moving specialists will work with you to create a custom moving plan specifically for the unique needs of you and your loved ones. We know that moving isn’t always one-man job. As third generation moving specialists, Meehan’s Family Moving will go the extra mile to ensure that all of your family’s needs are met, and aim above and beyond customer expectations. We offer flexible moving services at fair prices. Call Meehan’s Family Moving today and receive a FREE estimate on your next local, long distance, or commercial move. From full packing services to safe and reliable transportation, Meehan’s Family Moving has it all. Contact the Meehan’s Family Moving Team today! For more information, call: (561) 904-6000. Hire Professional Movers: Help make the moving process easier for you and your family by hiring professional local and long distance movers. Most moving companies offer full packing services, including full value transit protection on all household items to help ensure a smooth move. For a stress-free move, leave the packing and transportation to the professionals. Get Rid of Junk: Moving is a great opportunity to purge all of the old clothes, appliances, and junk that’s been accumulating in your house. Evaluate what you need to pack, and what items your family can do without. Create a Binder: Keep track of important information and documents that might get misplaced in the move by organizing a binder for you and your family. With all of your files in one place, you’ll be good to go. Plan Ahead & Save Time: If you can acquire a floorplan of your new home, organize where you intend to place your boxes and furniture on moving day. Create an inventory of your home to ensure that all belongings arrive safely. Slow Down on Grocery Shopping: Don’t let it go to waste! Finish using up things that you don’t want to move, such perishables, frozen food, cleaning supplies, and paper goods. Stock Up On Boxes & Shipping Containers: Consider ordering specialty containers such as wardrobe boxes for hanging clothes. Gather spare boxes and containers ahead of time. 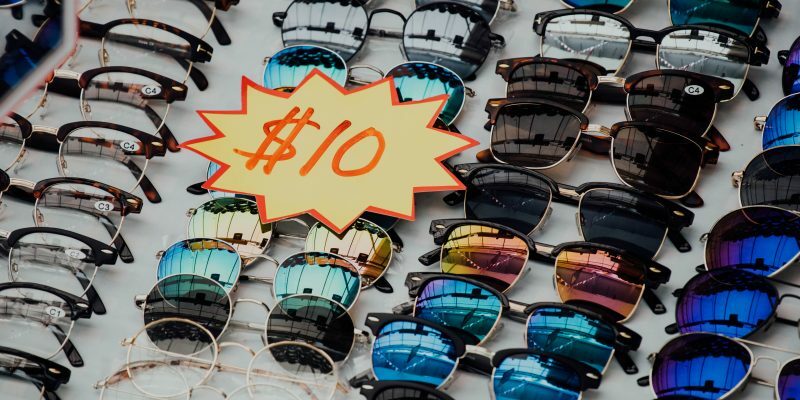 Sell or Donate: Organizing a community garage sale is a great way to make some extra cash. Before you toss anything, donate the items you weren’t able to sell. Start Packing: Start packing belongings that you will not be actively using before you move, such as books, specialty kitchen appliances, and out-of-season clothing. Label Your Boxes: Ensure that nothing gets misplaced on moving day by labeling each of your boxes with its contents and what room you want it moved into. Not only does this help you know where everything belongs, it also helps professional movers speed up the moving process. Change Your Address: Bills, subscriptions, insurance information, and everything else you receive in the mail should be changed to your new address ahead of time. Cancel Utilities: This tip is especially important! Contact your current utilities providers and confirm the days they will each be disconnected, then set them up at your new home. 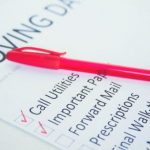 Forward Your Medical Records: For those moving long distance, have your current healthcare providers forward your medical records to your new provider. If you haven’t yet decided on healthcare providers in your new town, ask to keep copies of your medical records. Arrange Childcare: For families with small children, hiring a babysitter on moving day is a good idea. Prepare for Your First Night: Set aside things you’ll need on the first night in your new home. Be sure to label your boxes something along the lines of “Pack Last.” That way, it will be the last thing the movers pack and the first thing out of the truck on moving day. Double Check the Details: Reconfirm your appointment with your movers and plan your method of payment. Most importantly, now is the time to empty and defrost your freezer and refrigerator. With over 50 years of industry experience, Meehan’s Family Moving is the most trusted source for local, long distance, and commercial movers in Palm Beach County. As third generation moving specialists, we understand how important your move is for you and your family. It is our goal to ensure a pleasant and stress-free moving experience for you and your loved ones. We offer a wide variety of customizable moving services, from full-service packing to providing you with extra boxes on moving day. At Meehan’s Family Moving, we’ll offer you the services you need at a price that works within your budget. So, what are you waiting for? Call Meehan’s Family Moving, South Florida’s premier local, long distance and commercial movers. Contact us at (561) 904-6000 and find out how our family can help yours today!